The Plaintiff applied by way of originating summons, pursuant to Section 12A of the International Arbitration Act, for a Mareva Injunction restraining the Defendant from removing, disposing of, dealing with or diminishing the value of any of its assets in Singapore pending the determination of foreign arbitration proceeding. First, the Plaintiff must demonstrate that it has a good arguable case against the Defendant for an alleged breach of contract for the sale and purchase of the Product. Second, the Plaintiff must demonstrate that there is a real risk of dissipation of assets by the Defendant to frustrate the enforcement of an intended arbitral award. Failure to satisfy either the above two would be fatal to the application. With respect to the first requirement above, the threshold to be fulfilled, as stated in Amixco Asia Pte Ltd v Bank Negara Indonesia 1946  2 SLR(R) 713, was to show that the plaintiff’s case is “more than barely capable of serious argument, but not necessarily one which the judge considers would have a better than 50% chance of success”. In the present case, the factual inquiry to be undertaken by the court was whether, based on the materials and arguments before the court, the Plaintiff has demonstrated a case which is more than capable of a serious argument that a contract was concluded between the parties on 30 March 2015. Guided by the required threshold, the Court embarked on an analysis of whether parties had reached an agreement upon the three most essential terms of any contract for the sale of goods: the identity of the parties, the price, and the specifications of the Product. With respect to the first requirement, the Court was satisfied there is no good arguable case to support a concluded contract of 30 March 2015 as alleged by the Plaintiff while this finding was sufficient to dispose of the Application, the Court went on to analyse whether the Plaintiff had fulfilled the second requirement. With respect to the second requirement above, the Plaintiff had the burden of demonstrating that there is a real risk of dissipation of assets with “some solid evidence”. The Court made a strongly-worded observation of the Plaintiff’s case in regard to showing a real risk of dissipation, describing the Plaintiff’s case as “woefully off the mark”. After enumerating a number of points the Plaintiff had raised, the Court classified them as “trivial points”, raised in an attempt to “populate the grounds in support of the injunction”. The Court noted that the weakness of those grounds was acknowledged by the Plaintiff in its skeletal submissions wherein it stated that “whilst the weight of each particular factor may not be strong, the cumulative effect is sufficient to establish a real risk of dissipation”. Rejecting this approach, the Court asserted that it “is not concerned with a numbers game”, and ultimately clarified that each ground relied upon would have to be objectively assessed to determine how it would bear on the question whether there is a real risk of dissipation of assets by the defendant. Having found it appropriate to deal with most of the Plaintiff’s arguments in the above-manner, the Court found that there were two arguments left to be examined. One of these was the argument that the Defendant was relying on a defence which it knows is a “fiction”. This is evidence of a lack of “commercial morality” and hence called into question the Defendant’s probity. Citing the Court of Appeal case of Bouvier, Yves Charles Edgar and another v Accent Delight International Ltd and another and another appeal  SGCA 45, the Court observed that a lack of probity can and often will be relevant to show that there is a real risk of dissipation of assets. However, it is also clear that the allegation must be “well-substantiated”, and the duty of the court was to examine the “precise nature of the dishonesty and the strength of the evidence relied upon”. In the present case, this ground was found to be a non-starter. This case is useful as an indicator of the standard to be fulfilled and the approach taken by the Court in analysing the arguments and evidence raised by the party applying for a Mareva Injunction in aid of foreign arbitration. Applying parties would be cautioned against relying on the perceived cumulative effect of a number of arguments, each of which would not stand on their own. 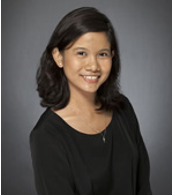 Khalisa joined the firm in 2012 as an associate. Her main areas of practice are shipping litigation and commercial dispute resolution.